My card design inspiration came from the marvelous Kay Miller. You absolutely need to follow the link so you can see her cute card....and follow her blog. She is AMAZING!! Most everything on my card is from MFT Stamps - my favorite company ever! I had a blast putting my card together. I hope you like it too. I can't wait to see what everyone creates for this challenge. You still have plenty of time left and you can click right here for the link to join the party. And just for fun I also entered today's project in lesson two of MFT Stamps' Summer School. Susie your card is adorable! I love the happy colors and who can resist that adorable penguin!! Great job!! Adorable summer scene! What a great way to showcase the throwdown colors! 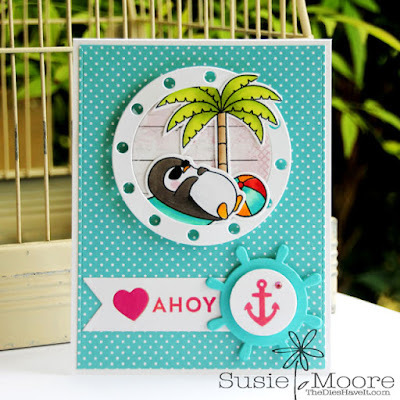 What an adorable and fun card, Susie! I'm so glad you loved the colors this week! 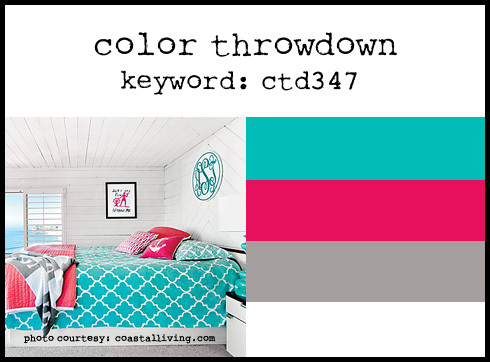 Thanks so much for playing along with us at the Color Throwdown! adorable scene... that penguin is sweet1! thxs for joining us at CTD! !